When it comes to talking about the weather, we have a lot to say in Kansas, and for good reason: not only is our weather some of the most dramatic in the world, but our relationship to weather shapes how we see ourselves. This presentation opens with weather chaser Stephen Locke’s vibrant images of Kansas weather paired with poetry by contemporary Kansas writers inspired by the drama that unfolds in the Kansas sky. Audience members will have an opportunity to share their own weather-related stories and striking images through a short 10-minute writing prompt that will lead into a discussion about how the weather influences our lives, our understanding of the natural world, and what it means to be a Kansan. The program is made possible by the Kansas Humanities Council and is part of their Kansas Stories Speakers Bureau, featuring presentations and discussions that examine our shared human experience—our innovations, culture, heritage, and conflicts. Caryn Mirriam-Goldberg, Ph.D. the 2009-13 Kansas Poet Laureate, is the author of 21 books, including two novels, a non-fiction book on the Holocaust, a bioregional memoir on cancer and community, and six poetry collections. Her recent books are Miriam’s Well, a novel, and Everyday Magic, memoir. 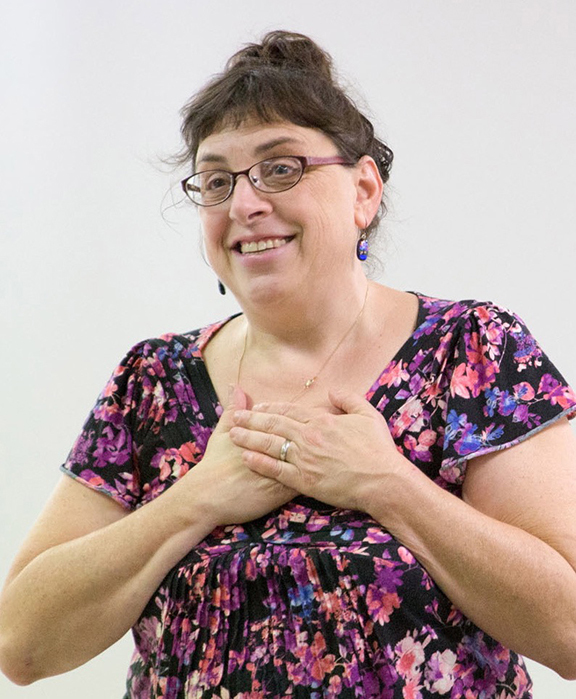 Founder of Transformative Language Arts at Goddard College where she teaches, Mirriam-Goldberg also leads writing workshops widely, and with singer Kelley Hunt, writing and singing retreats. 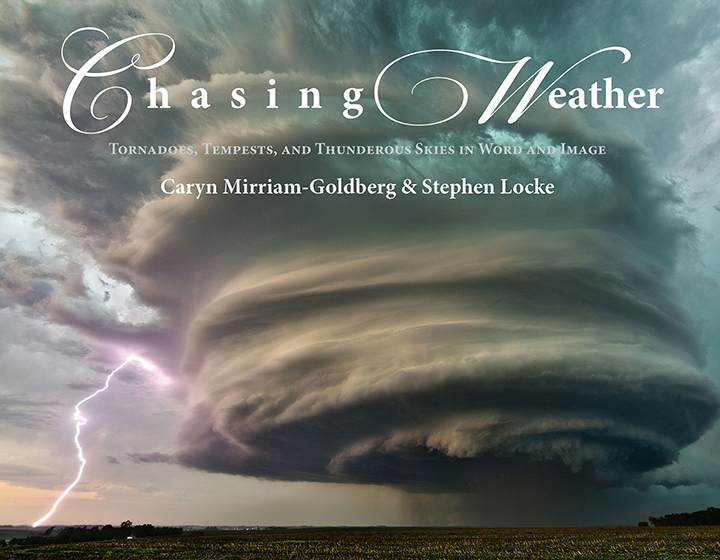 “Chasing Weather: Tornadoes, Tempests, and Thunderous Skies in Word and Image” by Caryn Mirriam-Goldberg & Stephen Locke will be available for purchase and signing at the event.